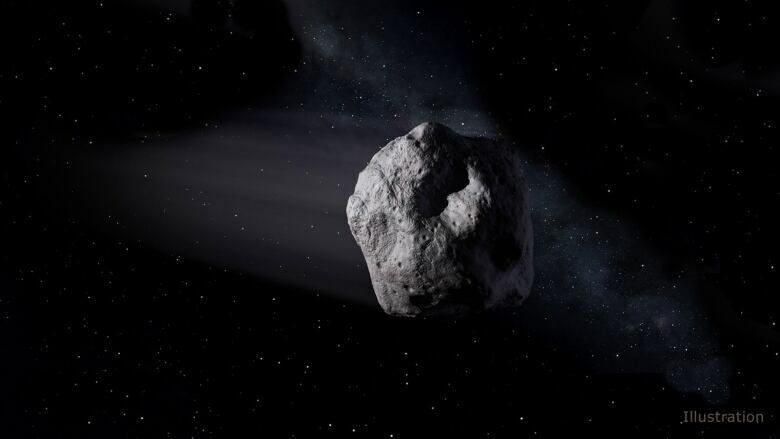 Despite headlines like, "NASA asteroid WARNING: Three giant asteroids to pass Earth THIS SATURDAY," and "CLOSE APPROACH' Nasa asteroid ALERT as three space rocks set to skim past Earth on Saturday afternoon," there is absolutely no need to panic. While it is true that a newly discovered asteroid will be passing within the moon's orbit, it poses no danger to Earth. 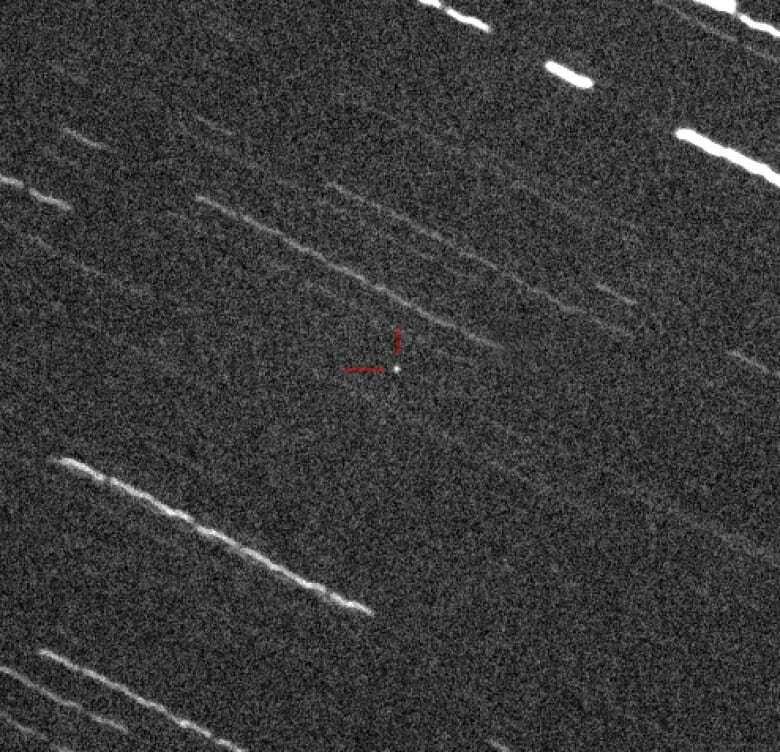 Asteroid 2018 VX1 was discovered by a telescope at the Mount Lemmon Survey in Tucson, Ariz., on Nov. 4. The asteroid will pass within roughly 381,000 kilometres of Earth. That is 3,000 kilometres closer than the moon's average distance from our planet. And while it may seem troubling that an asteroid is passing so close to Earth after being discovered just days earlier, it happens more often than you might think. That's because asteroids are relatively small and, therefore, difficult to spot. But that's precisely the good news: they are small. Hypothetically, if 2018 VX1 were to enter Earth's atmosphere at some point in the very distant future, there would be a nice light show and likely some sound, but no catastrophic damage. To put it in perspective, the Chelyabinsk asteroid — also referred to as a meteor — that disintegrated over Russia in 2013 was believed to have been 20 metres in diameter. The resulting air burst when it entered the Earth's atmosphere shattered windows, injuring roughly 1,000 people. But Chelyabinsk was almost twice as wide as 2018 VX1 and nearly six times its mass. If you'd like to watch 2018 VX1 as it passes, you can visit The Virtual Telescope Project on Saturday for a live view. So, it's quite clear there is no need to worry about any of these asteroids being a danger to Earth. But if the idea of a planet-destroying asteroid slamming into Earth keeps you up at night, consider this: it's believed that 95 per cent of asteroids one kilometre wide or larger have been found by sky surveys such as NASA's Center for Near Earth Object Studies. 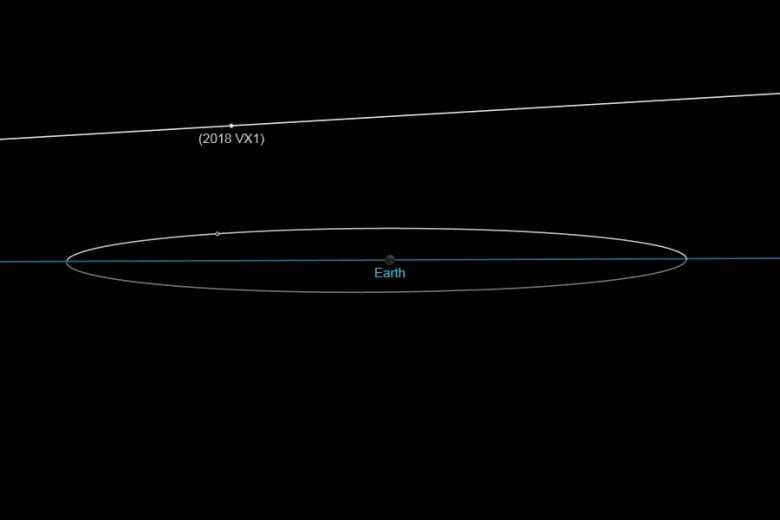 An earlier version of this story said incorrectly that asteroid 2018 VX1 will pass three kilometres closer than the moon's average distance to Earth. In fact, it is passing 3,000 kilometres closer.